Nielsen Building Materials, Inc. is a full service building material dealer specializing in custom construction. Founded in 1932 by C.V. Nielsen, the business goal has not changed. Take pride in what you do and it should stand the test of time. Christen V. Nielsen came to Solvang in 1917. He had immigrated from Denmark a few years earlier to the Midwest. He was a carpenter: a skilled trade he had learned in Lokken , Denmark . He met Anna Roth, the daughter of John and Thora Roth who were among the first settlers in Solvang in 1911. C.V. started his own business in 1932 called C.V. Nielsen had a Planning Mill. He became one of Solvang’s leading contractors, building many homes and commercial buildings in the valley. He was active in the building of the Danish Bethania Lutheran Church that has become one of the symbols of Solvang. C.V. and Anna had three children who were all integral parts of running the business. Soon after World War II, Daryl Nielsen became active in management with his brother Alton soon to follow. In 1954, Thora Mae took over the bookkeeping operations from her mother, Anna, who had worked alongside her husband since 1932. The business incorporated in 1959 and shifted solely to a retail building trade. At that time the business relocated from the center of town to its current position at the edge of Solvang. Thora Mae’s husband, Andy Andersen, and Alton Nielsen ran the business for thirty plus years into the 1990’s. It is currently being managed by C.V.’s grandson Ken Andersen. 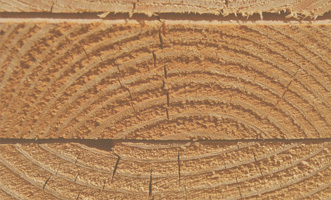 From the first sale of lumber until now, it has always been a tradition to provide the customer with the best quality material at the best price while still providing old-fashioned service.